World's first HD wireless HMD unit for simulation and training! Pinpoint Solutions creates SOLUTIONS. 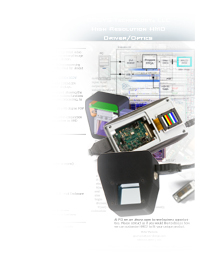 See our Head Mounted Display drivers, and other system SOLUTIONS here. The Right Expert - Right Now! The times have changed. Consulting models of the past 15 years are no longer valid. Clients are demanding 'drop in' fit experts to solve point problems, fill short term gaps, and drive changing methodology. PSI is meeting this dynamic 'just in time' requirement for engineering resources by building the largest network of independent, known, trusted, expert design engineers in the Rocky Mountain region. Call us with your requirements! We'll bring you the right expert - right now! Pinpoint Solutions, Inc.'s PSA program is a unique affiliation of independent contractors created to bridge the gap between being independent, and being a 'consulting company. PSI has 22+ years in engineering design contracting. With over 200 designs completed, over 100 satisfied customers, and well over 1000 active business contacts, PSI knows where the work is. Copyright © 2010 Pinpoint Solutions, Inc.